Certifications: Tandem Instructor, AFF Instuctor, Videographer, S&TA, FAA Licensed Rigger, Commercial Pilot with Multi-Engine and Instrument Ratings, FAA Licensed Airframe & Powerplant Mechanic. 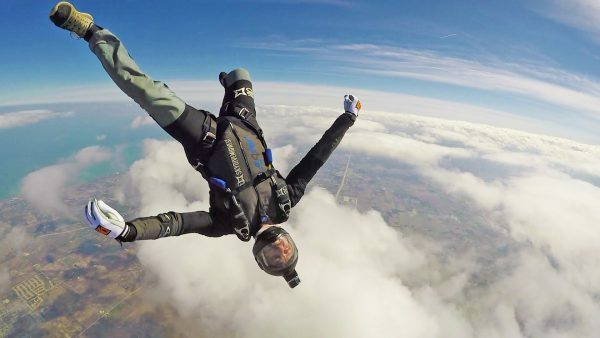 Why we love Keith: After 20 years in the sport, Keith is STILL passionate about skydiving. He is always up in the air with friends, family, customers and fun jumpers having fun! He is quite obviously a person who belives in working hard and playing hard. He LOVES his team and fun jumpers and isn’t afraid to invest in the things that make them happy. Outside of Skydiving: Keith enjoys spending time with his family and energetic puppy dogs. He enjoys traveling, scuba diving, riding dirt bikes, rebuilding cars and anything else that involves getting dirty or making a huge mess. Megan George » « Hello world!